When Lisa Corduff launched her first online program teaching women how to eat more wholefoods taking small steps, back in 2014 she had no idea the rollercoaster she'd just jumped on! With no experience in business (and three children under four at her feet!) over the years she has learnt the magic art of taking 'imperfect action' to grow a business with purpose and authenticity. 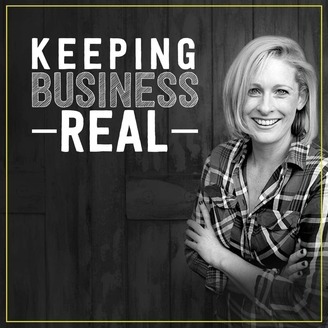 The Keeping Business Real podcast will bring you rock solid strategies for online business growth, insights into what's working inside Lisa's business, inspiration for those moments when you want to burn it all down (if you haven't had that yet - you will!) and interviews with experts on topics designed to move you from where you are now to where you want to be. All this delivered in Lisa's no BS, honest signature style. 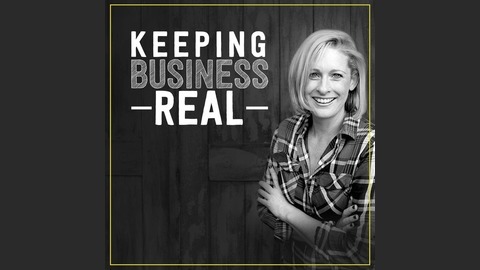 Bringing a breath of fresh air to online business podcasts - Lisa promises to keep it real .... to help you grow.